You should always wear sunscreen with your airbrush tan! Sunless tanning solution does not have sun protection! It should become part of your daily beauty regiment. Before you put on your makeup- apply your sunscreen. 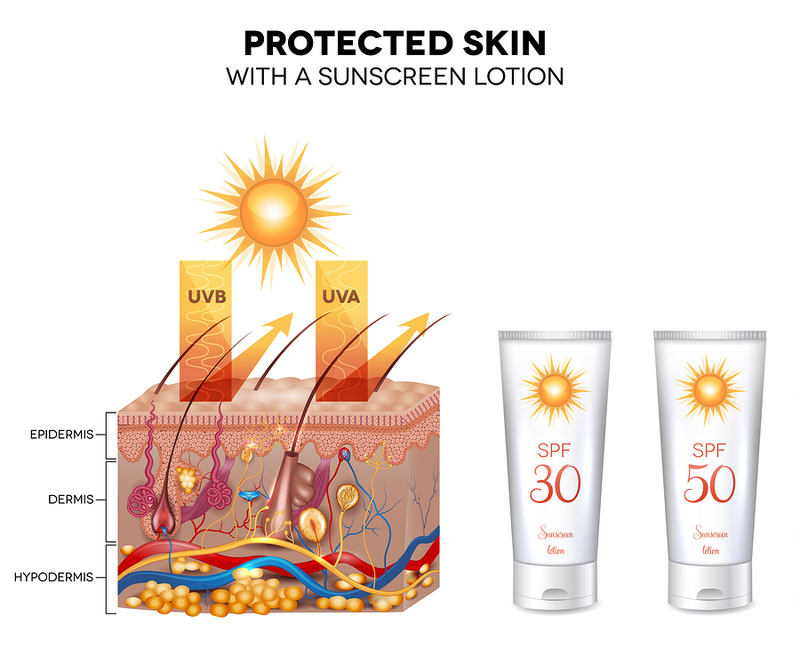 It will preserve your skin, and protect you against the harmful rays! Also: If you do not have a dermatologist- I am happy to refer mine. It is very important you see a dermatologist at least 2x per year! There are places on our body that are not easy to see- and being a fair skinned gal, as well as having non-melanoma skin cancer on my upper arm- I am very Pro Skin care! You have taken the first step in protecting your skin- by having a custom airbrush tan, but don’t stop there! Protect it ALWAYS. Even on cloudy and winter days. It is a myth that a “base tan” will prevent burning in the sun. Even if this were true, spray tan solutions are not a base tan. Spray tanning gives the appearance of being tan but has absolutely no effect on the melanin in your skin. Spray tanning should never be used as a substitute for sunscreen, and another reason to use sunscreen is that it will actually protect the glow of a spray tan.